Motorola's next year mid-range lineup of smartphones has already leaked online, but there are still things that we haven't uncovered yet. Like the new Moto G7 Play that has just been spotted at FCC (Federal Communications Commission), which haven't yet seen in the flesh yet. 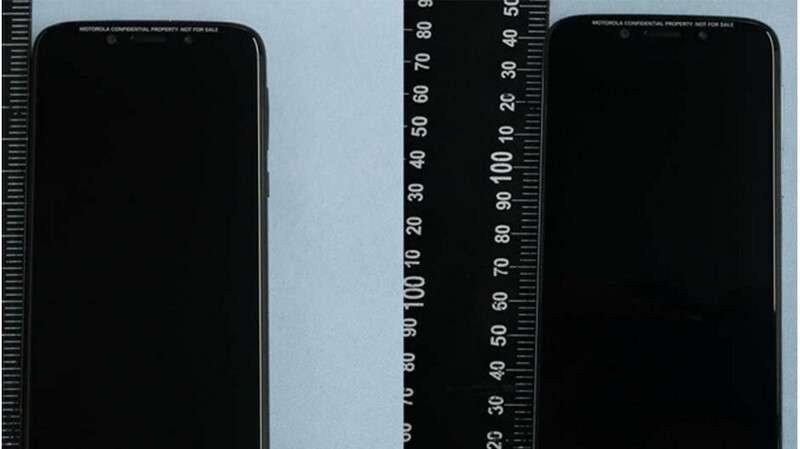 Along with the listing at FCC, Motorola also included a handful of pictures showing the Moto G7 Play's front and back. The battery is fully visible in another image as well, along with the name of the smartphone that's written on the user guide. Unlike the regular Moto G7 which is likely to feature a small, waterdrop-like notch, the cheaper Moto G7 Play has a sizeable notch. Also, the phone has a 2,820 mAh battery and a single camera on the back. The logo on the back hides a fingerprint sensor, as shown in the user guide. Another piece of information confirmed by one of the pictures is the chipset the Moto G7 Play will use: a Qualcomm Snapdragon 632 processor, coupled with an Adreno 506 graphics processing unit. Other specs that are listed in the user guide include microSD, USB Type-C port, and a 3.5mm audio jack. The pictures also reveal that the Moto G7 Play will be available in black and silver colors, but Motorola may have more colors available at launch that are shown in these images. None of the Moto G7 series phones will be unveiled this year, but we're expecting an official announcement in Q1 2019, so there's still time for more leaks with more info on these devices. Garbage on arrival. Moto you're not a competitor anymore. Back when the original droid was realized, Motorola was my favorite brand. Now they've went downhill. What is this mess? Another cheaply made android phone in the race to the bottom. Fandroids are cheap and have low standards so they should love it. Why does Moto do everything they can to go backwards instead of forward? Moto used to make great phones... Now they make OK phones and every new release is worse than the last. Isn't the whole point of the Play line to have huge batteries and two day life? Definitely a step backwards.